This is a visually attractive book that teaches little about economics. It devotes so much space to photos, "personal narratives," and current issue "boxes" that what is left is a very threadbare treatment of economic principles. Consider this example of circular reasoning: "The allocation of resources in capitalism is efficient because resources tend to be attracted to the most profitable firms." Unfortunately, the authors never explain the process by which the price system channels resources away from the production of goods that dont pass the test of the market. At most important points, the authors provide the student with nothing but government solutions to policy issues. Its conclusions have sometimes been outdated for over two generations (Keynes theories), and in one case for over two centuries (mercantilist trade restrictions). In another case, the student reads that Lenins Soviet economic system "worked reasonably well," even though the almost comical inefficiency of the Soviet economy has been exhaustively documented. Here again, dubious conclusions take the place of serious analysis. 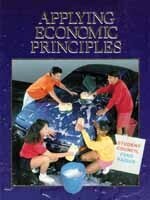 The book utterly fails to teach the student how to think like an economist.